You’ve heard Shenzhen’s story: sleepy fishing village to mega-city. Only forty-or-so years and the ‘experimental zone’ that drank a rocket-fuel mixture of capitalism and ‘if you build it’ attitude already ranks next to the nation’s capital. It’s also a case study in China’s manufacturing growth – from the spectacular growth of the 80s, 90s and early 2000s, to today: when manufacturing is taking on a decidedly more upscale route. Facing the bottoming out of the low-cost model that built China Inc., Shenzhen’s manufacturing future has more in common with Barcelona than Beijing. Shenzhen’s future companies will look like what exists in Europe. There, small and medium enterprises (‘SMEs’) compete by excelling in a niche, rather than competing on mass market products or services. Expertise and focus provide SMEs with sustainability due to higher profit margins in smaller, less competitive, markets. When Shenzhen started gaining recognition as a hotbed for electronics manufacturing in the late 90s, factory owners were making money adding little value: demand for cheap products outweighed the cost to make them. By the 2000s it became easier to open a factory just as the Internet started giving customers a direct line to factories. Unlike what exists in Thailand and Malaysia where, to this day, most of the electronics factories are contract manufacturers for brands, the Chinese factories produce final products that anyone can buy. It was the golden age of the low-cost model. A ‘Field of Dreams’ culture hit Shenzhen as poor, uneducated hustlers turned into millionaires by simply building a factory. Pumping out finished goods became all the rage, with costs for labor, living, and entertainment at third-world levels while profits exceeded first-world levels. While factory employees toiled all night, factory owners partied. And then 2010 hit. We can call that period the ‘come down’ from the party as companies found the rules of the game had changed – but they hadn’t. Technology advanced, products converged, operating costs increased and emerging opportunities were short lived. In short, they had to change. For many of the old guard there was too much overhead and not enough creativity – I saw this first hand with a group of factories making my MP3 players. They thought Android tablets were the next step, after demand for MP3 players started to wane. But the transition from making MP3 players to making tablets is huge. They needed anti-dust systems, better quality control and more staff to begin competing in an unfamiliar market. In other words: complete reinvention. My main MP3 assembly plant, once an industry powerhouse, closed after trying their luck with Android tablets.But that’s not the only challenge factories face, no matter what they produce and how cheaply, they can’t compete with Amazon. Amazon’s tablet represents another shift in the tech world. Amazon leverages its size to take advantage of the low-cost factories, which leverage components from Shenzhen’s supply chain to inexpensively produce high-quality tablets. In the US Amazon retails these tablets for $50, almost no profit – where are they making money? Content. Shenzhen factories obviously aren’t selling content on the US market, and even if they under-price the Amazon tablet, the quality and customer service is poor enough to push customers to pay a little extra and go with Amazon. In emerging markets – where Western brands aren’t out-competing the little guys – Chinese brands have stepped in. Huawei, ZTE and Xiaomi are aggressively pushing. Amazon’s model doesn’t work in developing markets, which don’t have the infrastructure to support a paid content. That’s where the big-budget Chinese brands succeed, with a combination of low cost, big advertising and aggressive distribution. 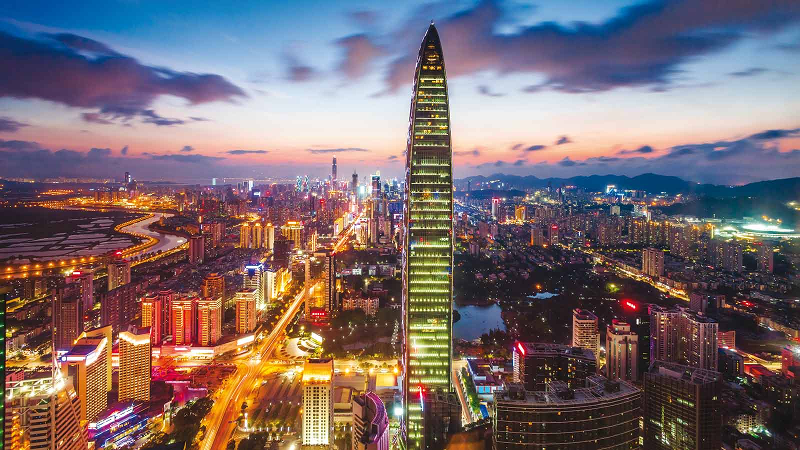 But despite this two-pronged pressure, Shenzhen is still appears economically healthy. How? With large companies taking a large and growing share of commodity business, survival began to depend on specializing in doing one thing well, just to stay in business. Successful small Shenzhen companies are focusing on niches, find something unique they can do and position themselves to do it well. You see this in the Android space, with Google directly lending a hand by creating specialized versions of the Android platform for TV, wareables, and IoT products. Android has become the next generation OS for point of sale systems, the OS behind vehicle DVR platforms, security systems, advertising displays, navigation systems and many more. All of these products overlap in many ways, but also have unique nuances. Companies that focus on mastering these nuances – whether hardware or software – create a better chance for survival. In Europe pressures include high taxes, high labor wages, and open access to information, yet old companies have found their success in specializing in high value niches, where they exploit their proprietary knowhow. Whether it’s in wine making, fashion design, specialty foods, or sports cars, many European companies compete on a global stage by doing one specific thing better than anyone else. The Shenzhen manufacturing scene is following a similar path. Expect the surviving smaller manufactures to specialize, creating something better than anywhere else in the world – or fail.